This scenic, 3-mile loop tours a wide range of ecosystems in the Laurance S. Rockefeller Preserve, a 1,106-acre ranch donated to Grand Teton National Park and opened to the public in June 2008. From the parking area, follow a winding gravel path through a sagebrush meadow and past an aspen grove to the visitor center—step inside the center to view multimedia exhibits on the preserve. From here, the trail winds through forests of lodgepole pine, Douglas fir, and blue spruce, and parallels Lake Creek. Listen for the high-pitched cries of elk, and watch for deer and Clark's nutcrackers. 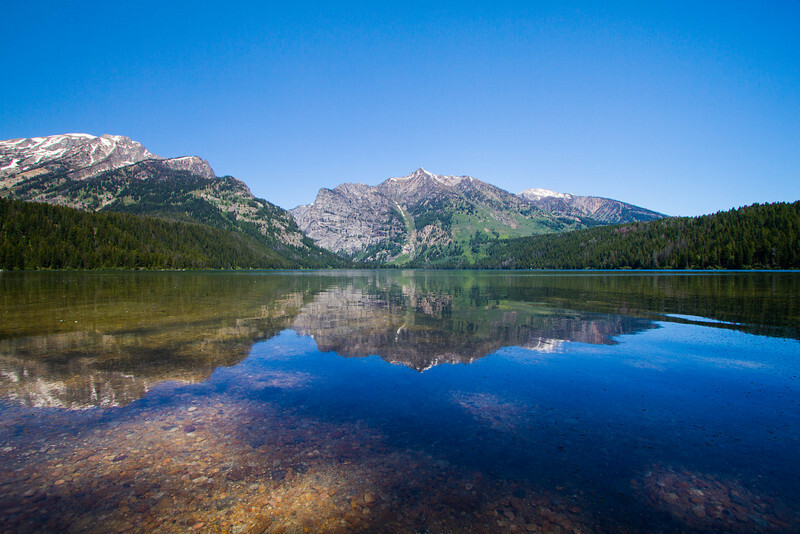 After 1.5 miles, the path traces the southern shore of Phelps Lake, offering spectacular views of the Tetons and the lake, before turning south for the trip back to the trailhead.